General software utilities to download are available on demand. Go to State Information to quickly access your state specific FH web page for the most recent state specific information, downloads, and documentation. FIREHOUSE Software version 7 introduced a new Public Education/Service tab in Staff Activities to replace public education information kept by clients in the user field section of previous FH releases. To help clients move the data from their user fields to the Public Education/Service tab, we’ve created a utility to perform this process. Please review the instructions document before installing the FHz components. Clients must be at version 7.3 or higher in order to user this utility. 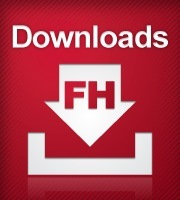 If you do not have version 7.3, please contact FH Technical Support or your sales representative to request the update. FIREHOUSE Software version 7 introduced a new Rating Bureau tab in training classes to replace rating bureau information kept by clients in the user field section of previous FH releases. To help clients move the data from their user fields to the Rating Bureau tab, we’ve created a utility to perform this process. Please review the instructions document zip file before installing the FHz components. Clients must be at version 7.3 or higher in order to use this utility. If you do not have version 7.3, please contact FH Technical Support or your sales representative to request the update. Visit our NEMSIS web page for the latest NHTSA v2 (NEMSIS) export utility for FIREHOUSE Software version 7.5.50 and higher. If you do not have version 7.5.50 or higher, please contact FH Technical Support or your sales representative to request the update.